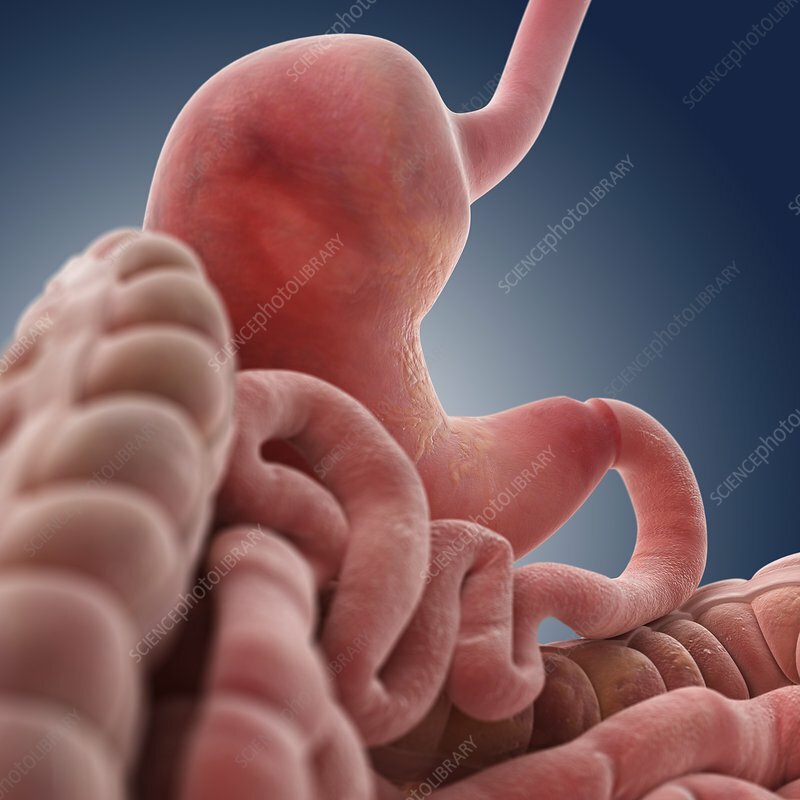 Stomach and intestines from behind, computer artwork. At top is the oesophagus, which carries food from the mouth to the stomach (upper centre). The food is stored and partially broken down in the stomach before moving on to the small intestine (lower centre) to be digested. Food residue passes from the small intestine to the large intestine (around outside) where excess water is absorbed.